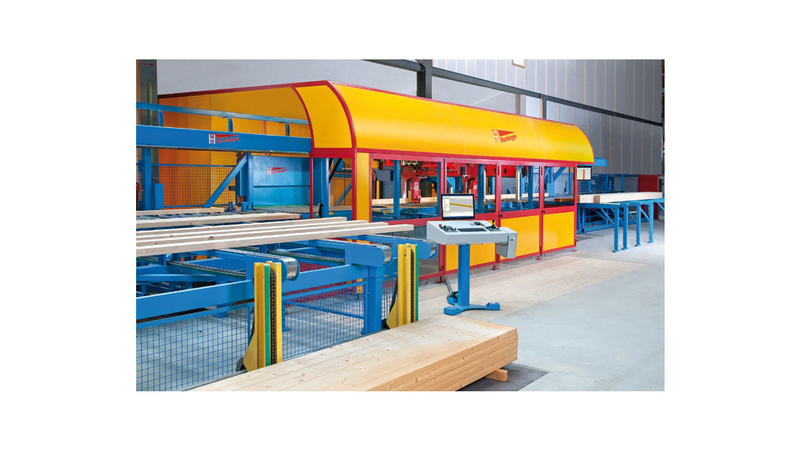 The industrial high-performance class with maximum availability K2-Industry sets completely new standards in performance, flexibility and capability for processing structural timber components. Our engineer&apos;s ingenuity and years of experience has enabled Hundegger to launch a completely new machine generation. Every detail and manufacture of each component is uncompromisingly designed for high-performance and the demands 24 hour, 3-shift operation. The new K2-Industry brings a significant leap forward in performance for every user. In contrast to joinery machines with just one spindle and with tool change systems, the K2-Industry performs particularly well in industrial joinery thanks to its multi-unit concept. For each operation, a specially developed unit is provided with tools tailored to that unit. The result: maximum performance without tool changeover times. Benefit from impressive performance, speed and accuracy that will bring a new dimension to your productivity.